Review: Catrice Mini Max Precision Volume Mascara [discontinued] - Cherry Colors - Cosmetics Heaven! Today I will review a mascara that I tested for about 3 months. I used it daily and that's about the time I have one mascara. I guess this means my review won't help anyone, but it will be just.. IDK. 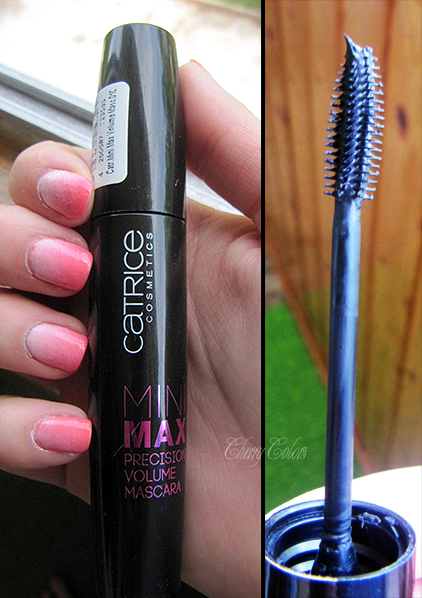 The mascara is called Catrice mini max precision volume mascara. What a mouthful! I liked how simple it looked - pretty packaging. But nothing extraordinary, just a black and pink mascara. Howerver the brush looked quite promising! This is how it worked for me! It's been quite a while since I used this mascara, but I do remember the thing I liked the most about it; how easily I could reach those small parts of my lashes. The inner and outer corners, lower lashes. Amazing! 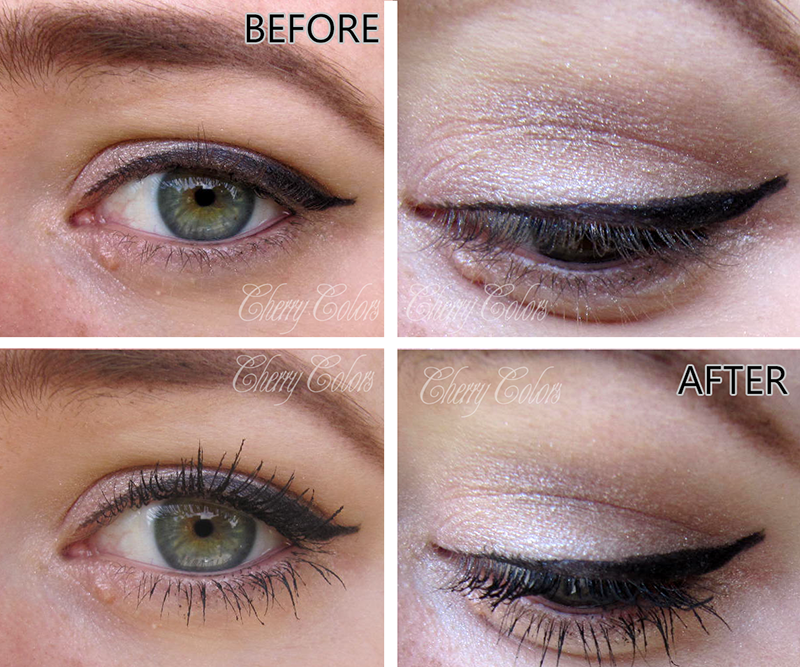 It did give me a natural look, but still so much better than my bare lashes. I had no problem with clumping or burning eyes or anything similar. I loved it! I however am not a picky user when it comes to mascaras. The only thing I want from them is that they do something, are waterproof (if possible) and my eyes don't burn with the use of them (I am looking at you, Essence!). I gave it a 4 rating because it could be better and because I am always on the hunt for a great mascara. I am sad that it's gone and I am scared of searching for a new mascara.. But I will, I need to. I prefer waterproof mascaras because sometimes my eyes water. Or I cry. Or whatever. I DID like it, but now it's gone,... ._. I hate it when I find a product I love and then they decide to stop selling it (I am looking at you, Cosnova! ).